World Vision is committed to partnering with the people of Zimbabwe to improve their lives today and to help deliver sustainable solutions for the future of their children, families and communities. 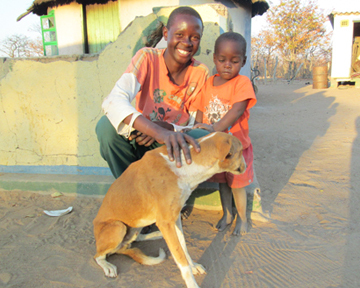 Please pray for our work with the poorest children in Zimbabwe. Brighton is 17 years old and lives with his sisters in Sansukwi ADP. Both his parents passed away when he was 12 years old. Since then, life has not been easy for him and his family. With no parents to care for them, his oldest sister took on responsibility for Brighton and his younger sister. But the only place she could find work to support the family was in South Africa, which meant she had to move away from home. Even with the money their sister sends back, they struggle to get enough money to buy food, pay school fees and other basic life essentials. Brighton is grateful that we’ve been able to give him and his sister packs of food. The support has helped ease the burden on their older sister. His younger sister also received a bicycle which she uses to go to school, as it is a long distance from home. Despite all the struggles – and missing his older sister a lot – Brighton is hopeful and has big dreams to finish his education. Between the support from his sister and our team, Brighton feels that life is getting better. His prayer is that he will be able to finish his education so that he can find better paying work to give him enough money to support his sisters. Please pray for Brighton that he will achieve his dreams and get to finish school. Please pray for Brighton’s older sister, working away in South Africa, that God will keep her safe and comfort her when she misses her siblings. We ask that God will surround the whole family with his hope, peace and love. A man in the neighbourhood abused Cecilia, aged 11 years. She suffered physical injuries and is also struggling emotionally. The perpetrator has been arrested but Cecilia is traumatised and is struggling to function normally. Please pray that God will comfort and heal Cecilia and always protect her. When children are on school holidays they are vulnerable and open to abuse. School offers them some protection from predators in the community. Unfortunately, some parents struggle to raise enough money for school fees and other educational expenses for their children. 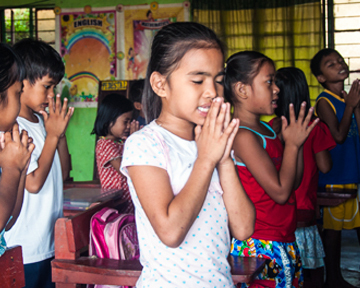 We pray that God protect all children from all forms of exploitation so that they are safe. May He also provide for those families who are in need, so that their children can go to school, have enough to eat and have their basic needs met.